There are some standard steps that everyone needs once they decide to launch their very own business. Those steps usually determine the likelihood of your success. No matter what industry your business is in, having the right strategy in place is vital, to the success of your launch. If you get them wrong, then it can have significant effects on your business. 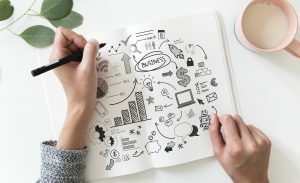 If you’re thinking about starting your brilliant new business idea, then this step-by-step guide will help you execute it successfully. Your first task is to define precisely what your business idea is going to be. It doesn’t have to be a revolutionary new product or service. You may even find that copying a standard business model will get you further along the path than you think. However, going into a business without a firm idea of exactly what you want to do is the quickest way to fail. This step is going to be essential for numerous reasons. Firstly, if you are hoping to get some form of funding from a bank or an SBA loan, then you will need to provide an in-depth business plan. There are some standard ways of approaching this task, but the more time you dedicate to a better plan, the more likely that your business will be successful. The chances are that you’re going to need some funding for your business launch. This capital can cover the costs of creating a product or for making sure that you have the relevant paperwork for transitioning into a business owner. There are many options to consider when it comes to raising money for a business, so assess what you need and choose the most viable solution. This is going to be the key to your future. Decide early on if you want to be a sole trader, a partnership, or a limited company. What you choose will affect your tax rates and your liability as well. For a self-employed business model, like that of a taxi driver, then it is going to be a very different structure compared to those aiming for a tech startup in Silicon Valley. You are going to need some things in place before you start trading. For manufacturers, you need to hire staff and rent premises. For taxi drivers, you need to make sure that you have the right driving license and proper insurance. Check with Acorn Insurance for specialist insurance to make sure that your taxi business is completely protected. No business these days is going to succeed without some quality branding and some professional marketing. Make sure that your business name, logo, taglines, and overall branding are clear and relevant. Then, look at the different ways that you can market your business. Use social media and modern marketing trends to make sure that your audience reach is as extensive as possible. Once you have everything in place, then it’s time to start trading. If your business strategy is sound, then your chances of success will be far higher. Start by following these necessary steps for a successful business launch. Before you know it, you will find yourself as a business owner all because you started on the right foot.